Unless otherwise noted, all classes occur at the Building Young Leaders educational enrichment center, which is at 2816 G St., Merced. BYL is in the Bear Creek Galleria on G St., Main entrance is on the back North side of the building. Do you offer discounts for families with multiple children enrolled in your classes? At this time, only our dance classes have multi-class/sibling discounts available. We offer occasional specials to those on our email notification list and Facebook group. Email BYLMerced@gmail.com to be added to the email notification list. To join our Facebook group, please search 'Building Young Leaders, Merced' and request to join. ​As a parent, what are my obligations for involvement? ​In accordance with our Child Safety Plan, parents must pick up their student inside the BYL Center. We rely heavily on parent volunteers for the success of our live performances, and ask that all Performing Arts parents give two service hours each semester. ​What does “Always Clean, Always Classy” mean? ​Everything we do at Building Young Leaders is 'family friendly'. We strive to protect children's hearts and teach them to uphold their family's values. We guarantee that we will never include sexually suggestive content in any class, and we take great care with our costuming, music selection and choreography in every age-group so that we maintain 'family friendly' messages to our students and audience members. ​​How do we pay for classes? All classes are paid for online using a credit or debit card. For school-year-long classes, monthly tuition is charged to the card submitted upon registration on the 10th of each month. Automatic payments that are declined due to non-sufficient funds or expired/cancelled cards are subject to fees. We do not accept cash, checks, Pay Pal or money orders. ​Is Building Young Leaders for homeschoolers, or are classes also open to those in public/private schools? ​We create classes that have value for students in various educational environments, and classes are offered at various times of day to accommodate different school schedules. ​My child is older/younger than the suggested ages for this class. Can he participate? We believe in interest-based, multi-age learning. We have suggested ages listed so that parents know the target age range for the class material but variables such as maturity and prior exposure to subject matter may be taken into consideration. If a child is interested in the subject and can behave appropriately, he may be eligible to participate. Please contact BYLMerced@gmail.com before registering your student for classes outside of his/her age group so she can give you the information needed to make an informed decision. The class my child wants to participate in is full. Will you be offering it again? Class offerings are based on past and current interest. We are happy to repeat classes upon request and strongly suggest you share your interest with other families. If you can identify five students committed to enrolling, we will put forth every effort to add the class. Once registered, you are enrolled and will continue to be charged for classes until four weeks following the receipt of your written notice. In order to un-enroll from ongoing classes, please notify us in writing at least four weeks in advance of your desired cancellation date by emailing BYLMerced@gmail.com. Tuition for classes already attended cannot be refunded. Our family lives outside of Merced. Do you ever offer classes in other cities? Please contact us by emailing BYLMerced@gmail.com with any requests for traveling classes. If you can guarantee minimum class enrollment, we are happy to offer classes in other locations. 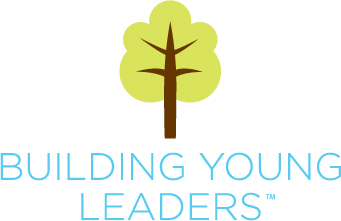 ​We are always looking for prospective teachers and staff who fit our BYL Team! If interested, please send a resume, references, and letter of interest to BYLMerced@gmail.com.